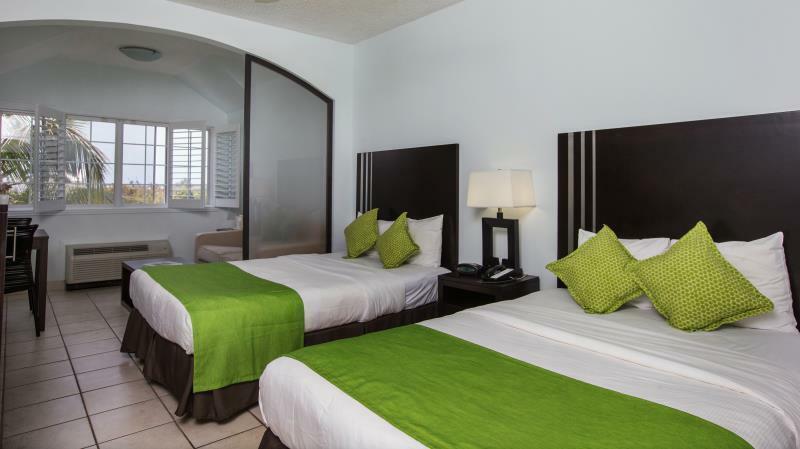 ﻿ Best Price on Ports of Call Resort in Providenciales + Reviews! 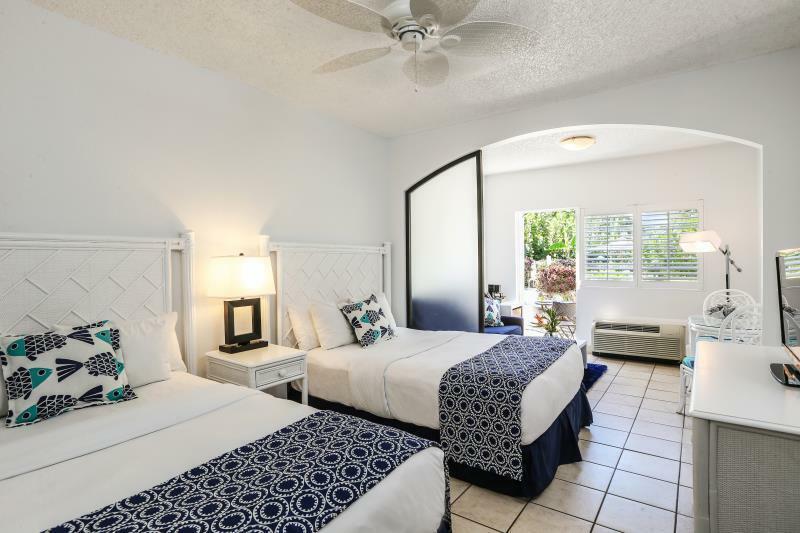 Have a question for Ports of Call Resort? 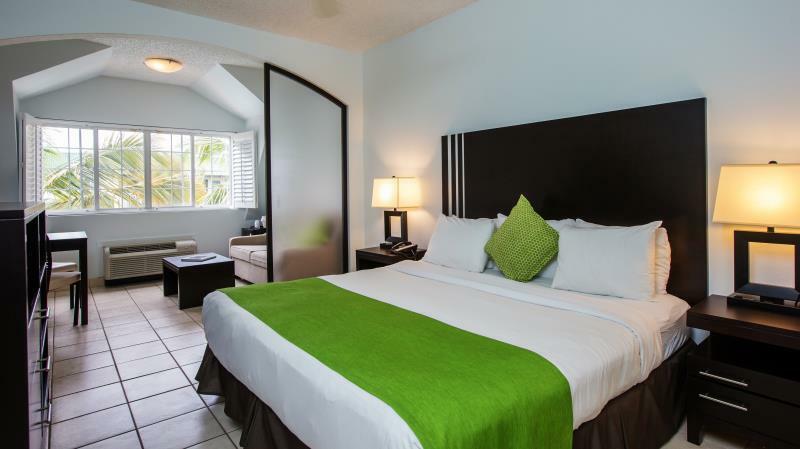 Ports of Call Resort is a 98-room boutique hotel located in the heart of Grace Bay. 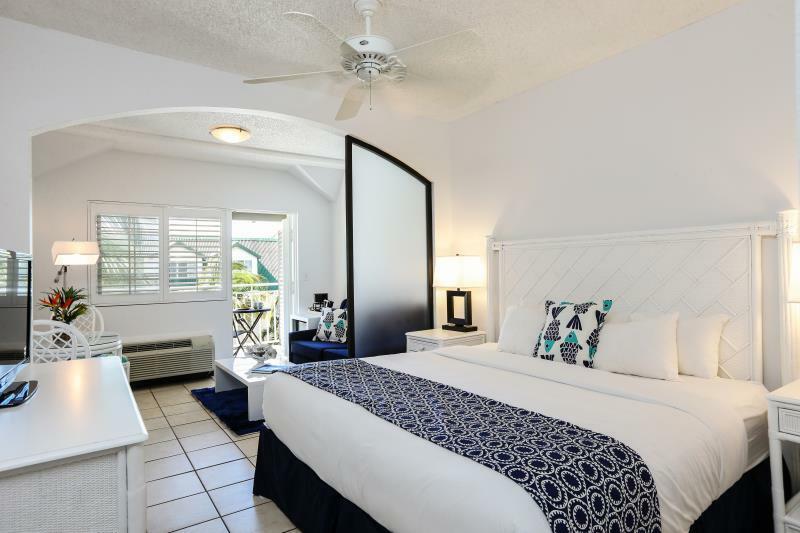 Ports of Call Resort is only 300 yards away from the awe-inspiring Grace Bay Beach where it has its own designated beach access complete with lounges, umbrellas, Tiki-huts, paddle-boards and kayaks for the guest's use. A shuttle runs each hour, and beach towels are provided. 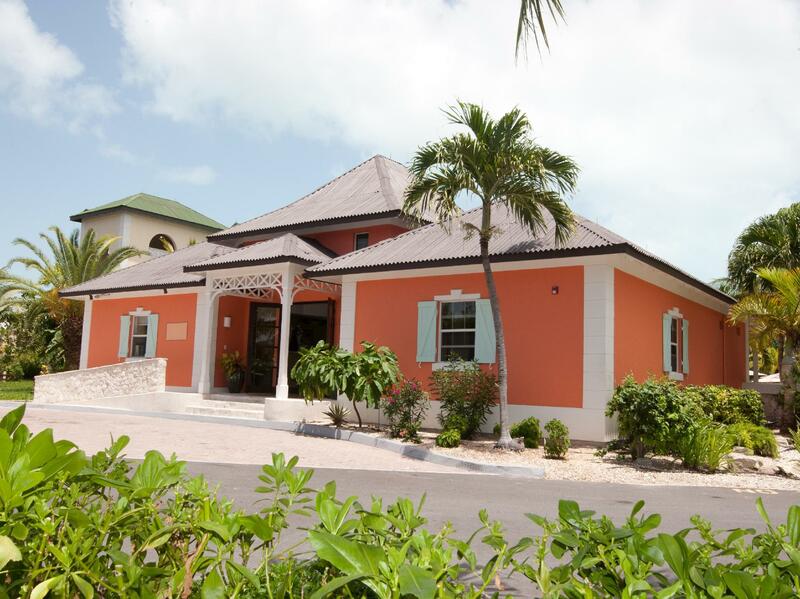 The property also includes the Shops of Ports of Call which offer a variety of restaurants and bars, a spa, hair salon, ice cream parlor, dive shop, fishing charter, auto and scooter rental, several gift and clothing stores, and a meeting and conference facility. Wifi and daily continental breakfast are also included at no additional charge. Mid range hotel, breakfast rubbish, room furnishings too many sharp edges. Overall we loved our stay at Ports of Call in Provinciales. 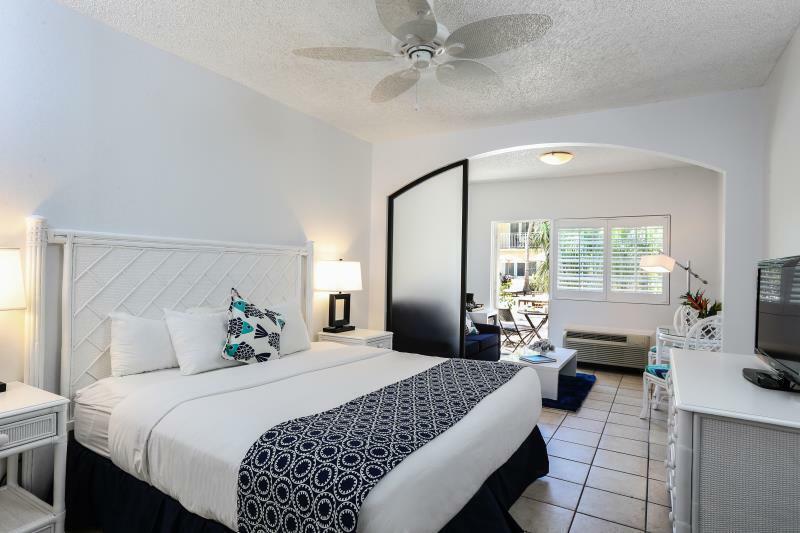 The location was fantastic, a very short walk from the downtown area, restaurants, larger resorts and the gorgeous beach. The complimentary breakfast made mornings easy and inexpensive. The king balcony room overlooked the pool and was nicely and simply decorated and the bathroom was updated and clean. The bed was rather firm and perhaps due for replacement, but ok for a week. The staff was very, very friendly and accommodating, remembered our names and always had a smile for us. Our only complaint about our stay was that (and this is something that really the hotel couldn't help) the walls of the rooms were quite thin and we could SO very unfortunately hear everything our neighbors were doing....enthusiastically.....at all hours of the day and night. Funny at first and then lack of sleep made us less entertained by it. Other than that one issue, the stay was delightful and we really enjoyed Ports of Call. One night business traveler. Staff was arrogant and less than helpful. They act like we don't have options. I informed them their wifi was not working and they treated me like a moron. I had to show them it wasn't working then they tried their own phone and finally admitted it was down. This happened twice in my 18 hours at the property. OVER PRICED HOTEL WITH NOTHING REDEEMING. Its a shame, by the time the ownership recognizes the issues it will be too late. Too many upcoming options on the island. This is like being in paradise, with the most wonderful staff and people around to assist you where possible. Rooms were nice, comfortable, spacious and clean. Front desk attendant did not tell me I had to return my room key upon check in and then upon check out the attendant was very rude and told me she couldn't check me out without the key and would charge me $20. Checking in took hours and the hotel was overbooked. It has a nice pool area, but few food options and the bar closed early. The room was spacious and clean, but dimly lit and the toilet was broken.